Challenge to the world of TRF starts with pure Racing Buggy Avante which was sold in 1988. The Avante uses advanced materials like aluminum and carbon at the suspension and the chassis and is fully adjustable. It pursues the combat power at racing for which it is designed. TRF was established as the test team of this machine. This entry was posted in Tamiya Company, Vintage on August 25, 2007 by admin. 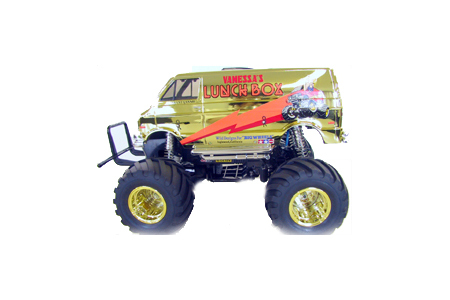 Tamiya’s classic R/C Lunch Box returns! This is a limited edition assembly kit with special gold colored body and wheels that R/C fans have been dreaming of. This is literally a golden opportunity, and with an extremely short production run, it’s a chance that’s not to be missed. ★ Classic minivan body pre-painted in a striking gold color. ★ 115mm diameter, 71mm wide monster tires mounted on eye-catching gold wheels. ★ Grille, side guards, front/rear bumpers, and friction dampers made from metal plated parts. ★ Durable ABS bathtub frame with independent front swing axle and rear rolling rigid suspension. ★ Conveniently includes Type 540 motor and TEU-101BK ESC. ★ Packaging clearly marked with special “Gold Edition” label stickers. 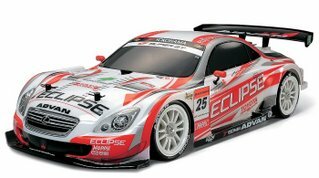 ★ Lightweight and user-friendly TT-01 chassis modified by reversing rear suspension arms to create the shorter wheelbase (251mm) for greater scale accuracy. 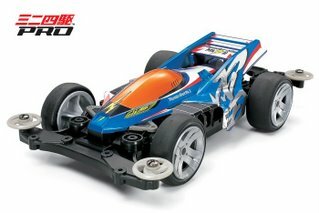 ★ 4WD shaft driven bathtub chassis with coil spring damped, 4-wheel independent double wishbone suspension and sealed front and rear differential gearbox. 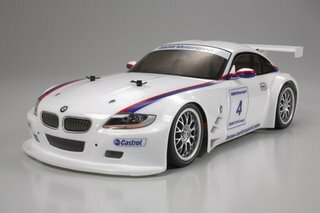 ★ All-new body shell accurately recreates the sleek lines of the Z4 M Coupe race car and is made from durable polycarbonate. ★ Markings and painting instructions included to depict the car in BMW Motorsport works livery. 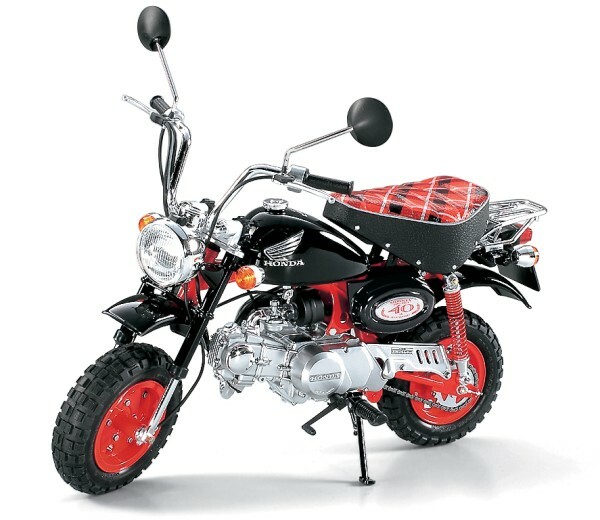 ★ Includes electronic speed controller (TEU-101 BK) and type 540 motor. ★ Includes LEDs for head and tail lights that turn on automatically when the car is switched on. ★ Metal-plated light fixtures enhance the realistic appearance of the LEDs. ★ Add the TLU-02 Light Control Unit (ITEM 53937) for greater control of light operations. ★ Wide variety of tune-up parts are separately available to customize your machine. 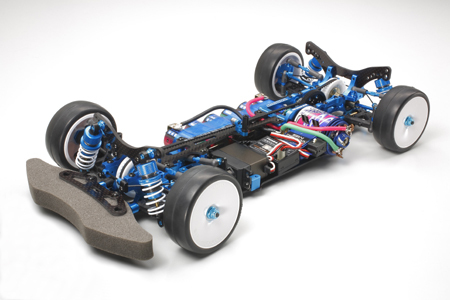 The new TRF Series continues to expand with its second chassis kit, the TRF415 MSXX Marc Rheinard Edition 2007. This chassis kit has the same specs and special parts as the one used by TRF driver Marc Rheinard to take his second consecutive victory at the Reedy Touring Car race in May of this year, making it perfect for those who want to stay on the cutting edge of R/C racing development. ★ Race-spec direct drive system equipped with rear ball differential for quick acceleration. 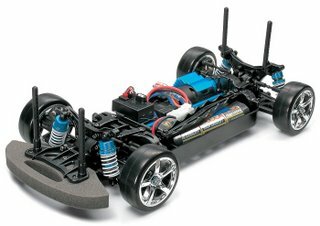 ★ Double deck carbon fiber chassis features brand new 2mm upper deck, which is designed to help convert chassis roll into cornering speed, and 2.5mm lower deck. ★ R/C system, tires, body, motor, ESC, running battery & charger separately required. This entry was posted in Future Releases on August 17, 2007 by admin. This entry was posted in Future Releases on August 15, 2007 by admin. This entry was posted in Media on August 13, 2007 by admin. This entry was posted in Future Releases on August 9, 2007 by admin. This entry was posted in Future Releases, Media on August 6, 2007 by admin.